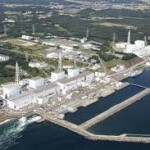 The plant operator Tokyo Electric Power Co (TEPCO) has found a crack in a concrete pit at its No.2 reactor in the Fukushima Daiichi complex, generating readings of 1,000 millisieverts of radiation per hour in the air inside. The leaks did not stop after concrete was poured into the pit, and TEPCO turned to water-absorbent polymers to prevent any more contaminated water from flowing out. The latest effort to stop radioactive water entering the Pacific has started recently. 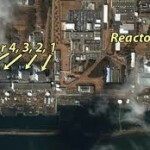 Officials believe the crack may be one source of the radiation leaks that have hobbled efforts to control the six-reactor complex and sent radiation levels in the sea to 4,000 times the legal limit. 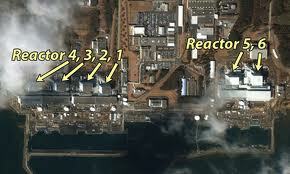 Nishiyama said three of the six reactors were now generally stable. 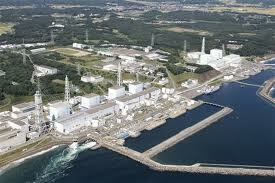 TEPCO has said it will scrap at least four reactors once they are under control, but this could take years or even decades. Japan’s crisis has rocked the nuclear industry and the European Union said that it will affect the fight against climate change as energy policies are reviewed. Germany and Switzerland have said they will shut older reactors or suspend approvals, China has suspended approvals for new plants, and Taiwan is studying cutting nuclear output. The government estimates damage from the earthquake and tsunami at 16 trillion to 25 trillion yen ($190 billion-$298 billion). The top estimate would make it the world’s costliest natural disaster. Manufacturing in the world’s third largest economy has slumped to a two-year low as a result of power outages and quake damage hitting supply chains and production. General Electric, which helped build the Fukushima Daiichi nuclear power plant will help TEPCO supply electricity in the coming months when demand soars. The government has said it will restrict maximum power use by companies during the hotter months in an effort to avoid further blackouts. Japan’s health ministry said that it had detected radioactive substances higher than legal limits in mushrooms from Iwaki in Fukushima, said Kyodo. ‘Grown in Fukushima’ has become a warning label for those nervous of radiation which has already been found in some vegetables close to the nuclear plant. Milk and other foods such as mushrooms and berries in parts of Ukraine are still contaminated by radioactive fallout from Chernobyl, 25 years after the world’s worst nuclear disaster, according to Greenpeace.